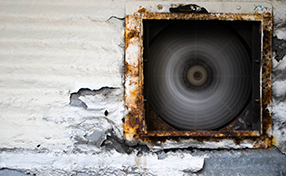 Did you know that experts recommend that if air ducts are not cleaned in a year or two, it can cause pretty serious health hazards? We, at Air Duct Cleaning Company Long Beach, make sure that if you avail our services, you and your family are always protected from such diseases. Long Beach is one of the busiest port cities in the United States of America. It is located in the Los Angeles County in California. It is a commercial hub which wields influence in the global economy. 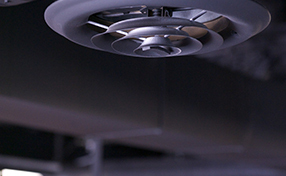 We are one of the leading providers of air duct cleaning services in the region. Our company uses a unique method for repairing and cleaning the air duct system. The method we use was developed in the labs of a world class university. 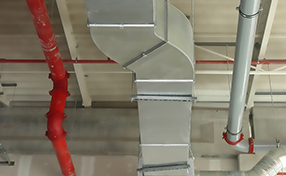 The aim of this method is to ensure that the ventilation system is totally sealed first and then cleaned from any impurities present in the air ducts. 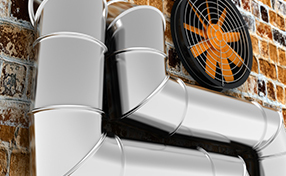 For this purpose, we run a computer-aided diagnostic test to assess the air duct system. Once this is done a report is generated, which identifies the spots that might require repair and cleaning. We show these results to the customers and make sure they are fully aware what is happening on board when we carry out the process. If the report shows that there are major openings in any of the air ducts then we try to close them first. After that, we attach the injection sealing system to the air ducts. This is a high tech machine, which emits small adhesive particles into the air duct system. These particles automatically close the remaining openings, which were identified in the report after the diagnostic test. The beauty of this process is that it completely seals the system without the need of opening walls or ceilings. This saves you a lot of renovation costs. After the process is complete our computer generates a sealing certification to certify that the system is completely sealed. This is the part where the repair is done and after this the cleaning takes place. Cleaning is done by many methods one of which is using the UV light cleaning technology. For this a UV lamp is used for the cleaning process, which emits rays that target the bacteria, fungus and other germs and destroys them completely. Other times, we use disinfectants which are not harmful to human health if inhaled. Since all the machines are complex, therefore every layman cannot use them. We have people, who have been specially trained in using this type of complex machinery. The difference is self-manifest when you get the work done by professionals. We not only service residential customers, but commercial clients as well. Since the work in the commercial scenario requires work to be done at a larger scale and at a quicker pace, we make certain that enough staff is employed to get the job done on time and in an efficient manner. We are a licensed firm, which is mandatory in the state of California. For our best practices we have also been certified the National Air Duct Cleaning Association (NADCA). This is an honor because not many firms enjoy this honor. If our services are required, we can always be reached through phone or email.